The Foundation of Science Programme will prepare you for the Undergraduate Programmes offered by Perdana University. The curriculum has been crafted to give you a strong foundation in the undergraduate areas of study. Our Foundation in Science is recognised by the Malaysian Qualifications Agency (MQA) and is fully accredited. It prepares students for any Health Science degree locally and internationally. Attractive Scholarships Available for Students. Focused Classrooms with Low Student-Lecturer Ratio. Top Recognised Medical University Locally & Internationally. 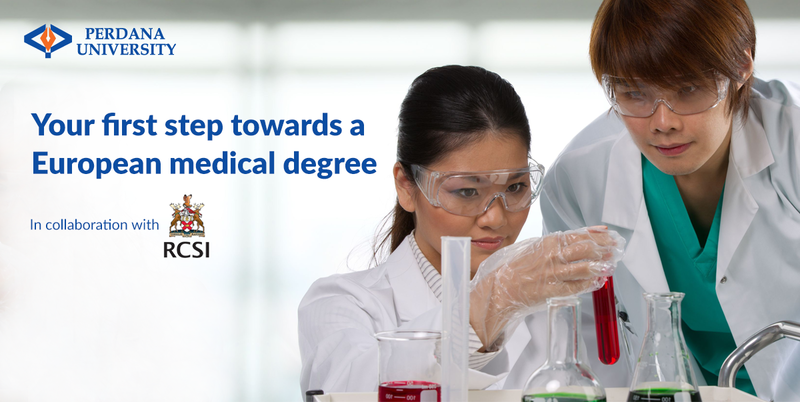 The Only University In Malaysia to Provide a 5+0 Irish Medical Degree. Perdana University was formed by a collaboration between Academic Medical Centre Sdn Bhd and the Public-Private Partnership Unit in the Prime Minister’s Department. The university was established in 2011, with the current Prime Minister of Malaysia, Tun Dr Mahathir Mohamad as the Founding Chancellor. Enriched with a trusted partnership with the Malaysian government, we are determined to provide you with top-notch quality medical programmes following international standards. Our programmes meet the requirements of the Malaysian Qualifications Agency (MQA) and other international professional accrediting agencies. Why Foundation in Science at Perdana University? Make the right beginning to a career in a variety of Science fields. Malaysian Qualifications Agency (MQA) recognised & fully accredited. Benefit from a range of scholarships available exclusively for students. Our students get hands-on experience at any of the below mentioned hospitals as agreed by the Ministry of Health. Our Foundation in Science programme is a fully accredited programme and recognised by the Malaysian Qualifications Agency (MQA). It will prepare you for pursuing any Health Science degree locally and internationally. Malaysian and International students are eligible to apply for Perdana University scholarships*. Fill up your details below to learn more. Scholarships of RM 1,000 for each A obtained in SPM/O-Level – up to a maximum of RM9,000. 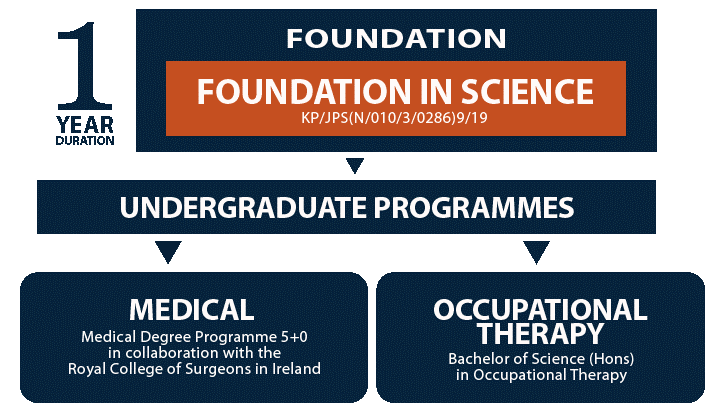 Perdana University – Royal College of Surgeons in Ireland (PU-RCSI) 5+0 Medical Degree – Scholarships up to RM50,000. Graduate Entry Programme – Doctor of Medicine (MD) – Scholarships up to RM96,000. Master of Science in Public Health – Scholarships up to RM9,000. Limited Seats Available. Submit Your Enquiry Now. Fill in the form and schedule an appointment with us directly. I authorise my data to be used for all marketing and promotional activities by Perdana University and their immediate business partners.